Breakfast enchiladas loaded with shredded potatoes, scrambled eggs, and black beans drizzled with my homemade ranchero sauce and shredded cheese — comfort food to the max! Okay, when was the last time breakfast looked THIS good? We’re talking about your favorite tortillas stuffed with shredded potatoes (aka homemade hash browns), spiced up black beans, and scrambled eggs, then we drizzled my homemade ranchero sauce all over it and just for good measure, tossed on a handful of shredded cheese. YES FRIENDS, I went there. We’re making BREAKFAST ENCHILADAS. This is the breakfast casserole of your dreams. And, i’ll do you one better. You can prep the ranchero sauce, the shredded potatoes, and the black beans from the night before. So all you need to do on Sunday morning is scramble up the eggs, load the tortillas, and bake it off. <– And hopefully you can catch a break and relax and enjoy a hot cup of coffee with some peace and quiet. I don’t know about you, but Sundays are INSANE around here. I’ll take every minute I can get. I made a very conscious decision to keep these breakfast enchiladas vegetarian friendly, but you can always add in some cooked ground beef, ground turkey, or anything else you please. I mean, I seriously wanted to add in a couple handfuls of baby spinach, and some mushrooms, but let’s keep that for a different time, shall we? I can’t show all my cards at once now, can I? Seriously guys. 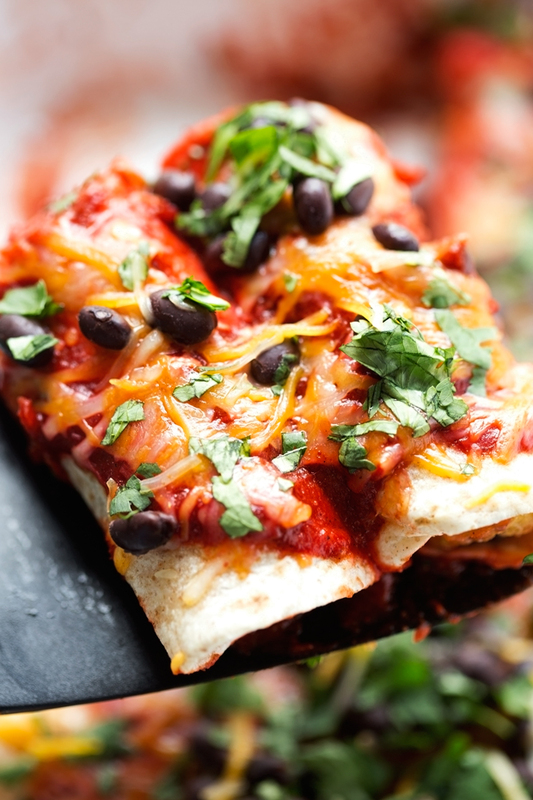 Let me be your fearless leader for a couple seconds while I convince you these breakfast enchiladas are totally worth it. 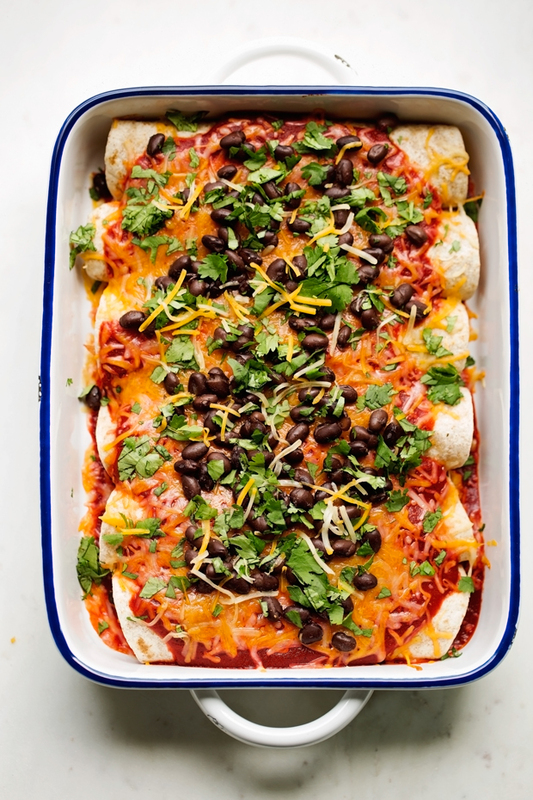 And you know what, you can even serve these at a brunch and watch all your guests swoon over these completely vegetarian, loaded with nutrition and real food enchiladas <– you know I even SHREDDED my own potatoes for this bad boy. Let’s talk sauce. Okay, I think I drilled it in you enough a few days ago when I said you NEED this ranchero sauce in your life. 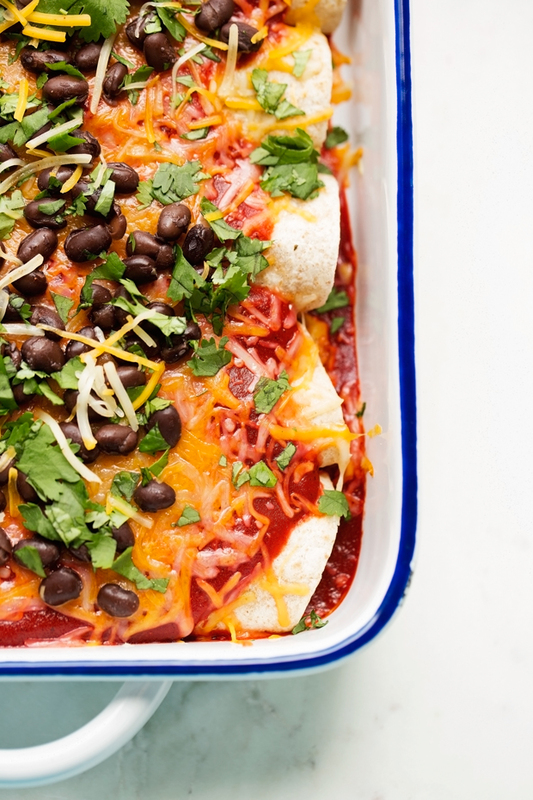 But, really that’s what makes these breakfast enchiladas oh so much better. Remember the peppers and onions and garlic and tomatoes? Now combine those with the potatoes, melty cheese, black beans and scrambled eggs. Are you seeing the picture. It’s ALL there. And that’s it guys! Quick and brief today because I’d like you to run to the kitchen and start prepping the sauce the minute you’re done reading this. Did I mention it’s one of those sauce. The rare moment when the stars all align and you actually find a sauce that tastes better when it sits in the refrigerator for a day or two. Also, this is totally like eating huevos rancheros stuffed inside tortillas with hash browns. And who objects to hash browns? Not even a potato disliker like me. Seriously what are you waiting for? POTATOES: Heat 1 tablespoon of the oil in a large skillet over medium high heat. Add the shredded potatoes, season with a pinch of salt and pepper and allow the potatoes to cook on one side before flipping, this will take about 2-3 minutes per side. When the hash browns are crispy, remove to a plate and set aside. BLACK BEANS: Place the black beans in a medium bowl, add ½ cup of the ranchero sauce, toss, and set aside. EGGS: Add the remaining 1 tablespoon of oil to the pan and heat on the low heat setting. Add the whisked eggs and push them around to scramble. You want to keep them soft, because we’ll be baking the casserole off in the oven. Add the scrambled eggs to the black beans mixture. Add the shredded potatoes to the black beans as well, along with the salt and 1 tablespoon of cilantro. Stir to combine. ASSEMBLE: Position a rack in the center of the oven and preheat the oven to 350ºF. Spray a large 9×13 baking pan with cooking spray. Add a thin layer of the ranchero sauce to the bottom of the baking pan. Fill each of the tortillas with the black bean, egg, and potato mixture. Place the enchiladas seam side down in the dish. Drizzle the remaining sauce over the enchiladas and top with the shredded cheese. 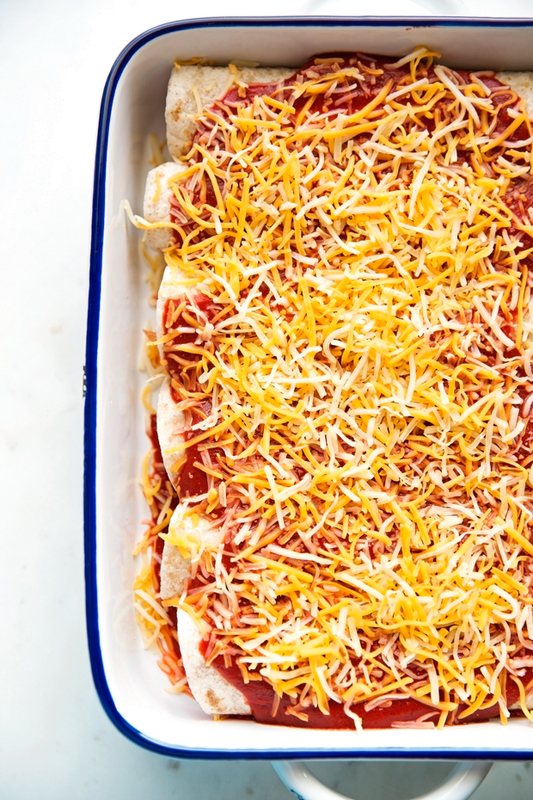 Bake the breakfast enchiladas for 10-15 minutes or until the cheese melts. Sprinkle with remaining 2 tablespoons of cilantro. Serve warm with sour cream and diced or sliced avocados. 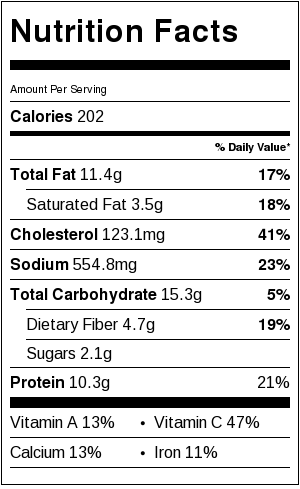 You can use the pre-shredded potatoes that you find in the refrigerated section of your grocery store if you’d like. Just measure about 1 heaping cup to replace the 1 medium potato I used.